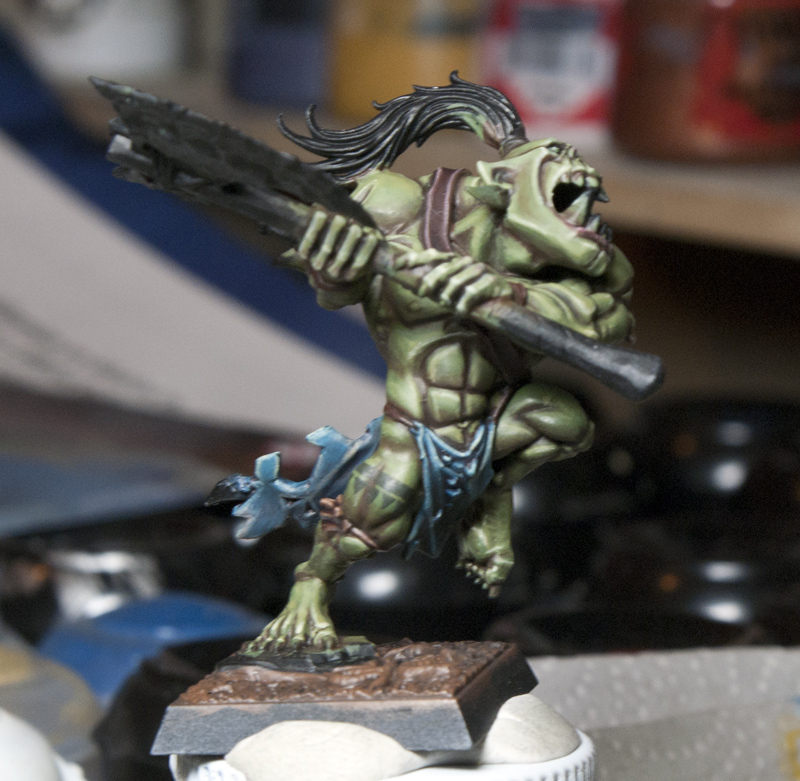 So the Savage Orc has been coming along slowly but steadily. At this point I have finished his skin, although I already see several areas I need to go back in and work more such as his neck. 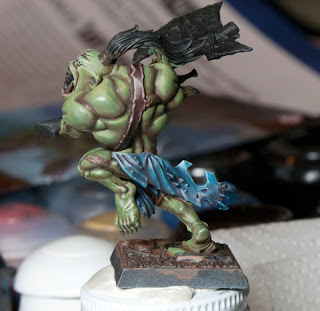 I have also finished his loin cloth (made from authentic Lizardman skin), his leather strap and a few random areas. I have painted one tattoo, on his leg, so I could glue the second leg on and not have the loin cloth in the way. 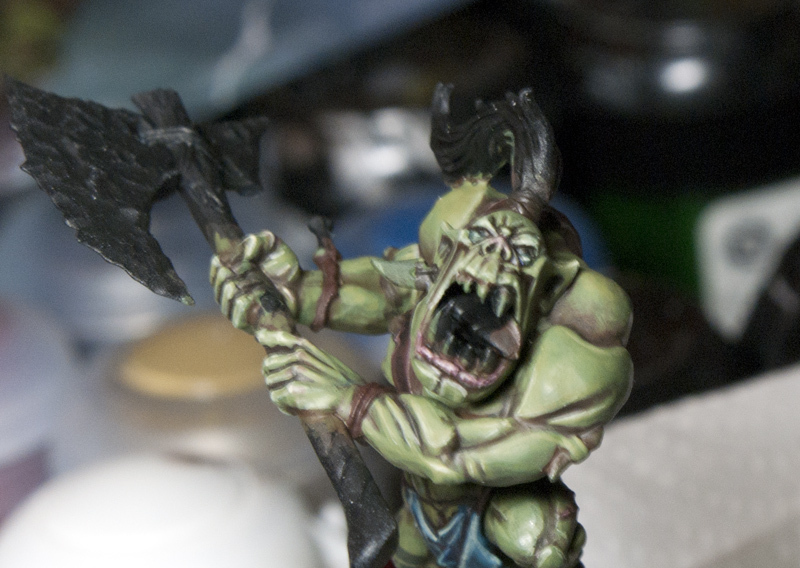 I went for a more subdued subtle look as I didn't want to distract from the skin and I am still thinking of painting the skull glyph on his face. Here's a close up on part of his loin cloth as I am pretty happy with the gradient from light near the top to dark on the bottom. 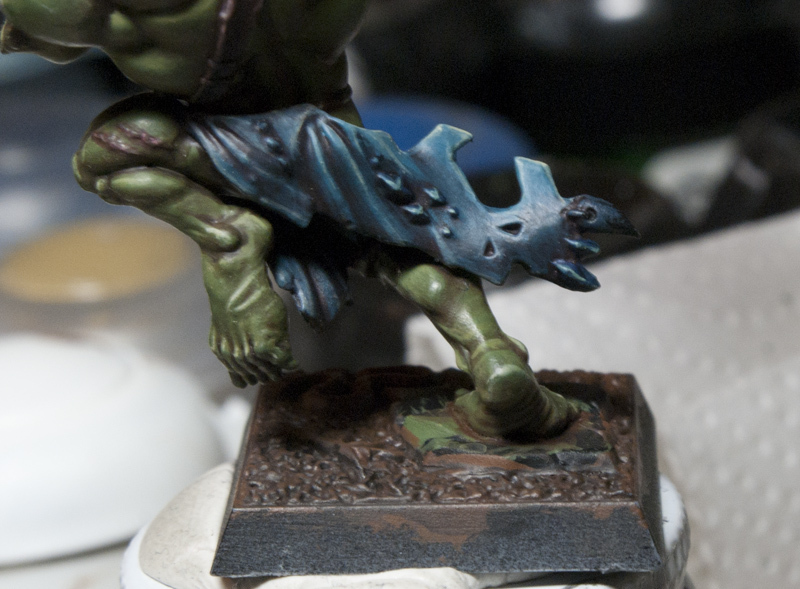 I am using a mix of zenith and traditional highlighting on this model. Next up will probably be all the random leather straps on him then the rest of the tattoos. Follow that up with the axe and bone bits and see how I like him before I do the skull glyph. If you guys have any suggestions or tips let me know. Also I just moved and that gave me a good excuse to reorganize my painting area with a home made shelf. 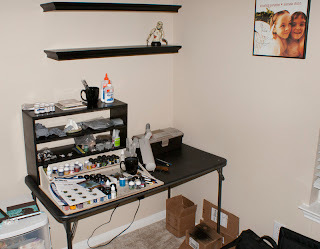 The shelves still need models on them, but much tidier then it use to be! 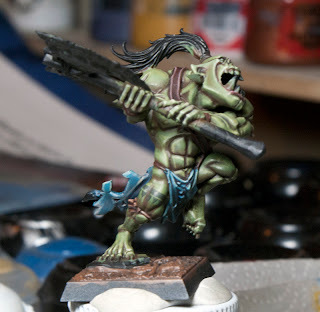 The Savage Orc is coming along very nicely.